People who have poor sleep habits tend to be the same people who try to control situations, people, and events that are beyond their control. With this SMT session, Dr. Porter will help you put your life into perspective so you can rediscover your natural sleeping patterns. You will release the unconscious need to react with fear, both consciously and unconsciously, about any situation that is not within your control. At the same time, through the relaxation response, you will be guided to a state of relaxation which is helpful in making natural physical changes such as slowing your heartbeat and regulating your breathing. 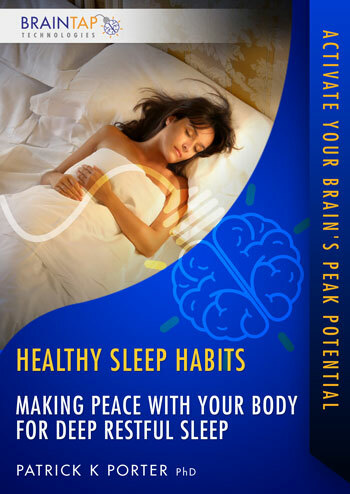 You will experience the positive benefits of relaxation and it is assistance in attaining a good nights sleep.